With 30 years of experience J & R Lock & Safe Inc. has the skills you need to reinforce your doors to give you the security you need. We also have a large selection of Hardware & Alarm Lock Systems. Call us today to order your door or frame. With Steel Entry Doors you can seriously crack down on security. Not only are steel entry doors an impenetrable force, but they also come with an unexpected benefit of increased energy efficiency. The added reinforcement more effectively seals your home, lowering your heating and cooling costs. A solid, high-density polyurethane core & the lack of glass helps to give you up to 5X better reinforcement than wood doors. Not only are our steel doors superior to other kinds of doors, but they are also 2X stronger than our competition! What makes our Steel Entry doors better than our competitors? 12-gauge plate inside each door gives extra strength to the hinge area. 6-90 degree steel bend in each edge to ensure stability and strength. This provides rigid base for lock sets. Stop intruders at the front door with Residential Steel Entry doors from J & R Lock & Safe Inc. Call 866-558-6484 today to get started. 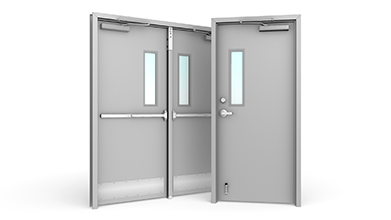 At J & R Lock & Safe Inc. in Libertyville, Illinois we offer many commercial steel security door and trim finish options. Stop intruders in their tracks with a solid, impenetrable door that shows you mean business when it comes to security. Upgrade your commercial building with 5X better reinforcement than your current wooden or glass doors can provide. In addition to the security benefits, a steel door will also help to lower your energy costs by creating a secure barrier between the inside and outside of your building. Using quality national brands we can help you with all of your custom orders. No matter what your needs may be, our staff will be happy to assess your situation and provide a unique solution. Contact J & R Lock & Safe Inc. today to stop intruders in their tracks with Commercial Steel Entry doors. Call 866-558-6484 today to get started. 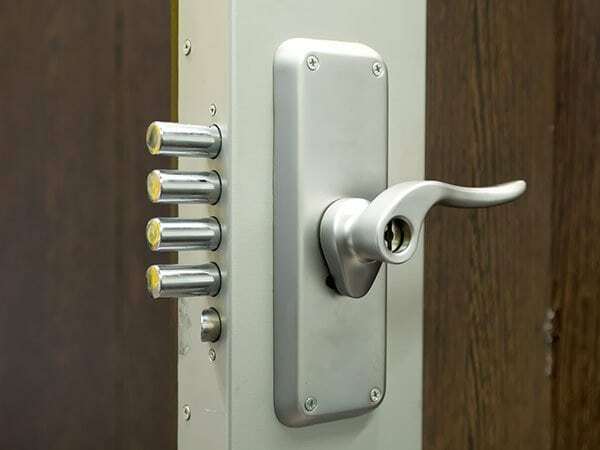 J & R Lock & Safe Inc. can help you add an additional layer of security to your home or business with Alarm Lock Systems. Alarm lock systems are especially effective for commercial uses, as they install in minutes, do not require keys, can fit any door or trim, and can be set up for multiple users to be able to use. Call our office today so that we can assess your needs and suggest the best Alarm Lock System for your building. Exit alarms are battery powered and are surface mounted door alarms. Entry alarms are AC powered and appear flush or are surface mounted. Automated, programmable schedules to lock/unlock doors helps to save manpower. Enjoy the added security of time/date stamped reports of door usage. Contact J & R Lock & Safe Inc. today to add security and accountability to your building with alarm lock systems. Call 866-558-6484 today to get started!